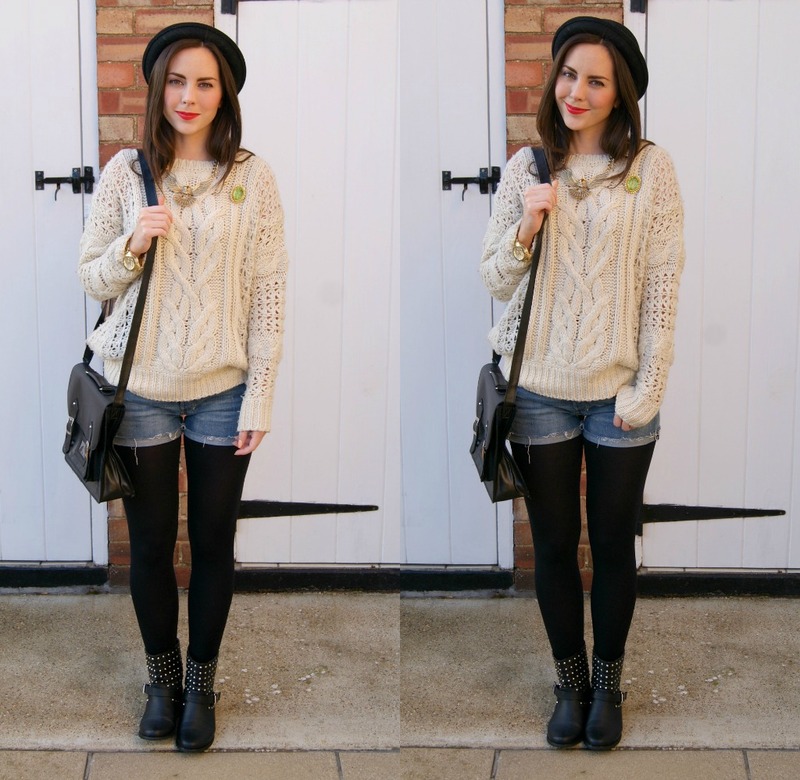 today I've picked out a chunky vintage jumper and paired it with a denim/tights combo which I've never tried before. tights and shorts always seemed a no no for me in the past but I've always liked it on others so I gave it a whirl. I've never thought about putting fancy brooches on lain jumpers/tops etc, I really like how it has added something extra to your outfit.